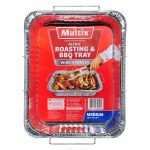 Multix Medium Size Roasting & BBQ Alfoil Tray has wire handles for easy lift. 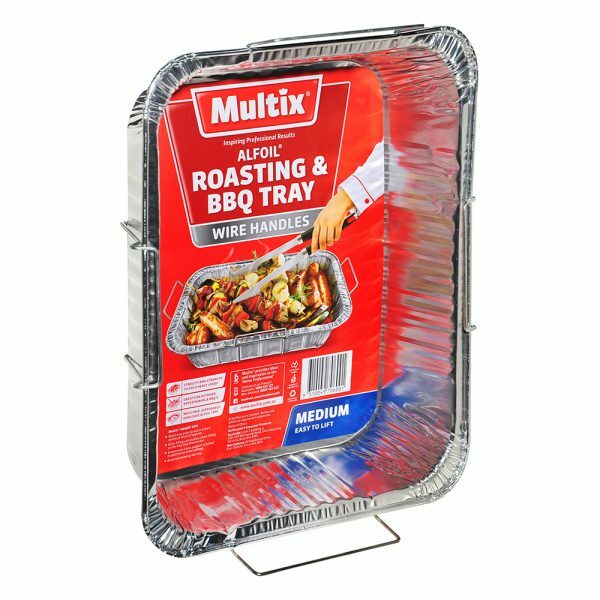 Multix Medium Size Roasting & BBQ Alfoil Tray ensures stability and strength to hold heavy loads. 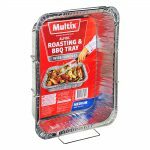 It is great for outdoor entertaining & BBQ. It is disposable and oven safe. Wash tray prior to use to ensure optimum level of hygiene. 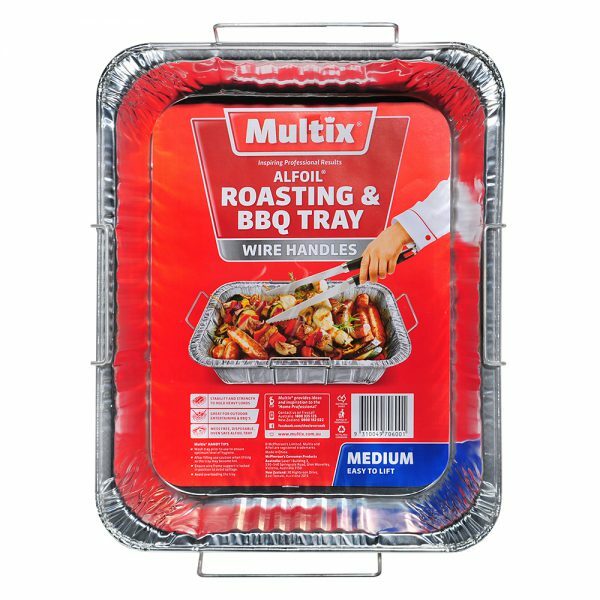 After filling use caution when lifting as the tray may become hot. Ensure wire frame support is locked in position to avoid spillage.